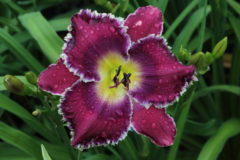 Well of Salvation is our first introduction from the fabulous Blue Healer. 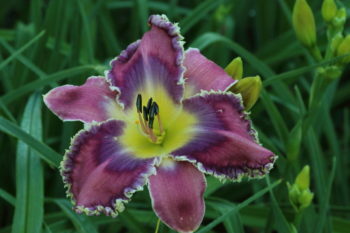 While the flowers are not as large as Blue Healer, the eye is much more blue and the edge wider. 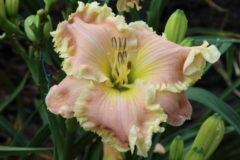 Not only are the flowers stunning, but the overall plant habit is excellent. 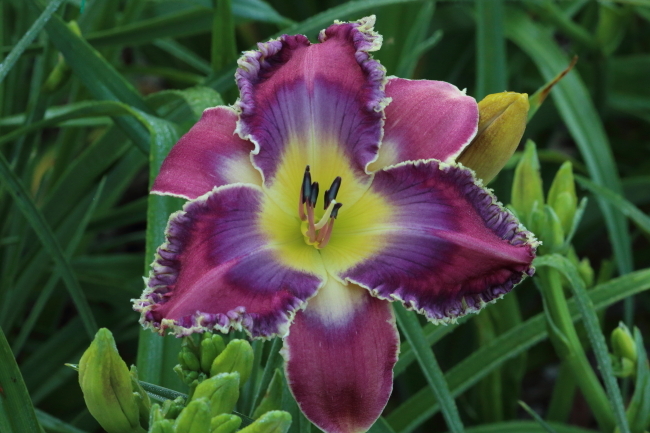 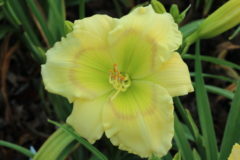 Well of Salvation is an important flower for those who are interested in breeding for dormant blue eyed daylilies with clear colors and fancy edges.